BEAUTIFUL GOLF COURSE VIEW in MIRAMONTE. A MUST SEE!! 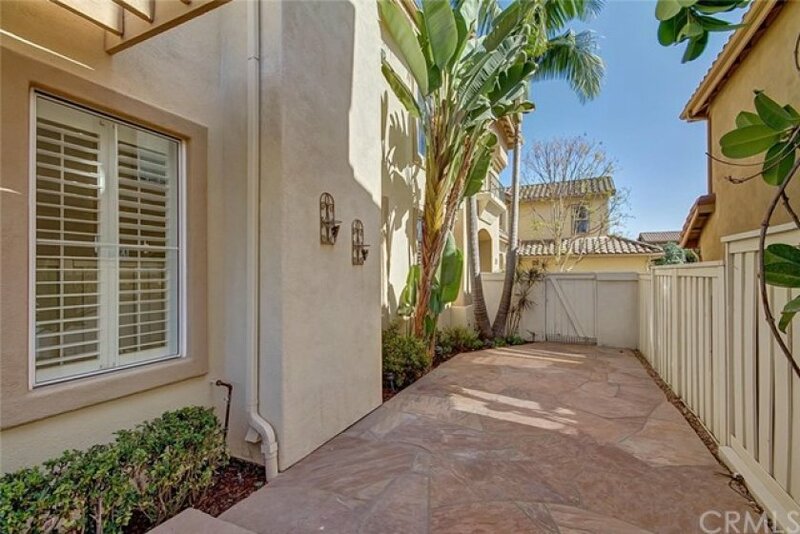 This Highly Coveted Newly Remodeled and Painted Detached Condo is Located in one of the Most Desirable Gated Communities in Tustin Ranch, Featuring 4 Spacious BEDROOMS plus an OFFICE and a BONUS ROOM, 2.5 Bathrooms, Formal Living Room and Charming Dining Room. Lots of Natural Light, Remodeled Gourmet Kitchen Boasts White Cabinets, Extensive Granite Counter Tops, Gorgeous Blaksplash, Stainless Steel Appliances and an Oversized Island for Entertaining. Nook area Next to Kitchen with View of the GOLF COURSE. Beautiful Hardwood Floor including Bedrooms, Stairs and Hallways, Recessed Lightings and Crown Mouldings Throughout. Gorgeous, Private Master suite, Large Walk-In Closet with Built-In Organizers. 2 skylights. Entertainers Backyard with an Outdoor Kitchen Overlooking the GOLF COURSE. Desirable 2 Car Attached Garage with Lots of Storage Space. Close to Award Winning Tustin Schools, Tustin Market Place. Walking distance to Tustin Ranch Golf Club, Steps Away from Tustin Ranch Elementary School and Well Known Tustin Sports Park.